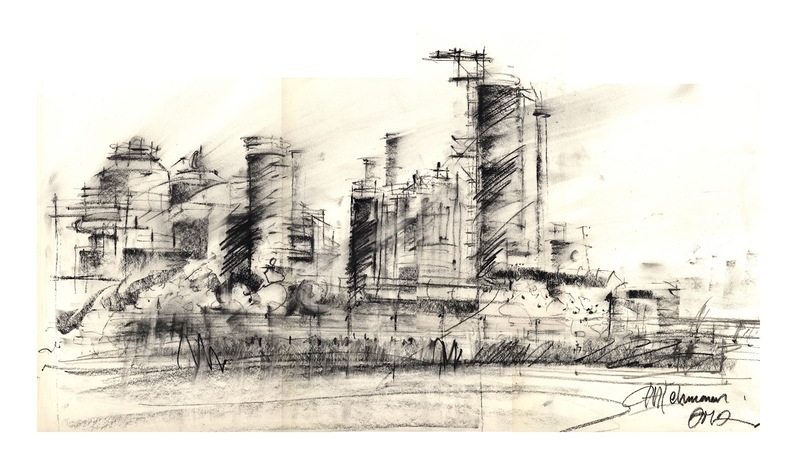 Even though charcoal may be a bit messy in the plein air arena, the expressive notion of those gas towers seem appropriate in that media, smudges and all. The charcoal may be a little bit messy but still it works. It gives an edge to the sketch. It looks like a real smoke comes from those towers.